Online Embroidery Digitizing Is Not About Aesthetics Only! With online embroidery digitizing, we stress a lot about the quality of the digitized designs. Probably, a little too much. 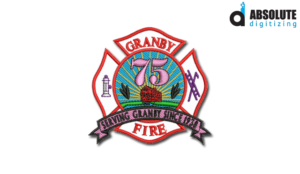 But, what do we exactly mean when we say high-quality embroidery digitizing? Is it the one that looks great in the software preview? Or the one that looks great on the embroidered product? Did you notice that how both the options focus on the way the design appears? Is quality of digitizing only about how a design looks? Not really. The fact is that aesthetic quality of the design is not even the most important criteria for evaluating a pattern. There are other characteristics that hold much more significance from the commercial perspective while determining the quality of the design. Therefore, judging an artwork by merely the way it looks is flawed. Apart from the appearance, an embroidered garment should also serve its intended purpose effectively. If the design comes in the way of the comfort of the end user, it is definitely not a good design. 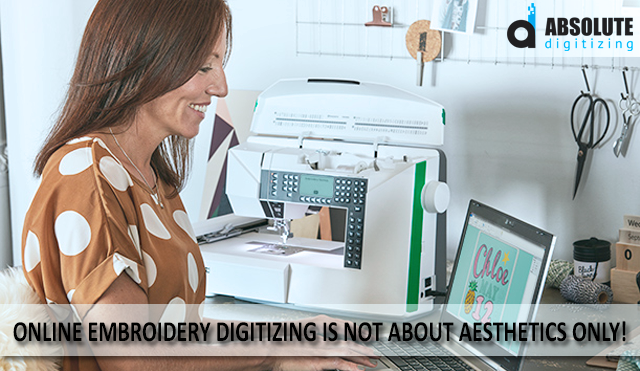 Setting the priorities right is extremely important for embroiderers and digitizers. Compromising comfort level for the sake of embellishments is understandably not a very good approach to follow, especially with commercial garments. Considering the volume of commercial embroidery, this should be taught as a must to every young digitizer. Unfortunately, even many seasoned digitizers fail to realize this and miss on it frequently. They often get too engrossed in intricacies of digitizing. Along the way, this very basic requirement of a good embroidered design goes in the background. It is honestly disheartening to see the efforts of talented digitizers going in vain. It is not that comfort level is deliberately compromised for the sake of evading effort. In fact, it is often the most complex designs that cause problems for the wearer. In executing a complex design, a digitizer has to work and think more than embroidery digitizing a normal design. They are artistically difficult to interpret and digitize. The problem with the complex designs is that they are generally heavy and dense. A dense design is intrinsically inflexible. Consequently, the embellishments become a source of irritation for the end customer. One can question that why digitizers take the risk of increasing the density in the first place when it causes problems for the customers. Well, firstly, it is sometimes due to ignorance and negligence. Then, it is believed that dense designs look much better. It is definitely true to an extent that denser designs look much better than the thin ones. That said, this does not stand justified if it ultimately causes discomfort to the wearer. This also doesn’t mean that stitch density should be kept too low, to an extent that it looks loose and shabby. Actually, applying higher density is not detrimental. It becomes so, when a digitizer, fails to take customer experience into account. Increasing the top-stitching density to the point that bottom layers are completely hidden, hints towards the possible issue in online embroidery digitizing. The solution is in the grey shades. A balanced density that keeps the luster and loudness of the colors in place, without causing discomfort to the wearer should be the right approach. Although we will take production factor into the account later, in detail, denser designs are also not very economical and production friendly. Online embroidery digitizing explicitly affects the production process of actually embroidering the design on an apparel. A design is practically not good enough if it is a source of stress to the embroiderer. Even if it is artistically a very fine digitized design to stare at, commercially embroidered designs have a greater emphasis on production-friendly digitizing. Although many a time, both are polarized, it is the latter that is often prioritized over the former. The reason for this is understandable. If embroidery digitizing, is production friendly, it doesn’t only reduce the production time. It also saves supplies, increases profits and overall, means lesser stress for the business owner. Seeing the benefits, it is obvious that why production oriented digitizing is a necessity, while looks become a secondary priority. Therefore, an embroidery digitizer must have his primary focus on making digitized designs efficient in terms of production. To do this, practices like adding excessive trims, wrong pathing, short stitches and frequent color changes must be avoided. All these aforementioned practices hamper the production process. The most common reason that induces inefficiency to the process is thread breaks. Many of the ‘must-avoid’ practices trigger a thread break. Upon thread break, the machine must be re-threaded which takes a lot of time. Color changes should also be avoided because when a color has to be changed, the embroidery machine must be brought to the halt. Similarly, excessive trims are also abhorred for the same reason as they take a lot of time and effort. 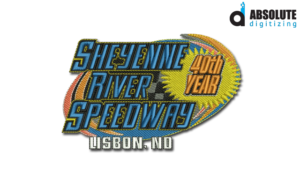 Embroidery digitizers must remain mindful that most of their work is consumed by ordinary people. So, no matter how artistically or technically adept they are, basic needs of a design should always be met. A hard pill to swallow; there is little recognition for artistic prowess in commercial space. But it is, how it is. Consequently, digitizers should stick to the basics and keep things simple. Maintain a decent density and only use basic stitches, most of the time. Similarly, pathing logically is pivotal from the production point of view. Try to avoid excessive thread movements. Moreover, keep trims and color changes to an absolute minimum, with an exception to the embroidery designs, where it is not possible. Although it would seem counter intuitive at the end, as we have bashed the focus on looks, these technical considerations are not a barrier to creativity. It just takes embroidery digitizing expertise to take these three elements in parallel and in balance. If you have had a hard time finding someone like that, get in touch with us today. Order online embroidery digitizing for only $1/ 1000 stitches and receive immaculate results, from the professionals in the matter of next few hours.